"[John Gibson is] a courageous, spunky, resilient journalist who spends his time loving America." 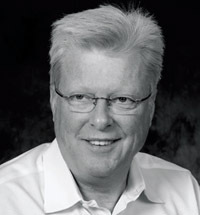 John Gibson is a best-selling conservative author and one of Fox News Channel's most outspoken and enduring personalities. He appears frequently on FOX and his national radio program, The John Gibson Show, reaches over two million listeners on 90 stations providing top news coverage and features interviews with leading newsmakers. Gibson is the author of the best-selling books Hating America and The War on Christmas. 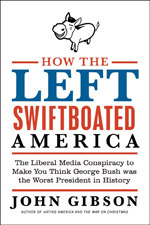 In his latest book, How the Left Swiftboated America: The Liberal Media Conspiracy to Make You Think George Bush Was the Worst President in History (Harper) Gibson asserts that President George W. Bush was systematically "swiftboated" by Democrats and liberal media in a concerted effort to discredit his presidency and make it appear as though everything he did was a disaster - a campaign that succeeded all too well, driving his approval ratings to the lowest level in presidential history. Gibson revisits every major initiative of the Bush presidency to rebut these charges point by point and set the record straight. A speaker for his passion and love of America and against the forces that conspire to thwart all that is good about this country and its leaders; Gibson offers the first comprehensive defense of the Bush presidency against its numerous detractors. Swiftboating, as it has come to be defined by the Left, is the political trick of claiming to expose truth while in fact lying. Operating under that definition, the Left repeatedly assailed Bush, the Right, the Iraq War, counterterrorism efforts, and the entire effort to keep America safe from terrorism by defeating Al Qaeda. The Left said here's the truth: failure of judgment, loss at war, incompetence at all levels, all of which were demonstrable lies, but by repetition over a period of years proved effective. Polling tracked the disillusionment among Americans as the lies set in. Wrong track polling ran into 80 percent, and the credibility of President Bush was eroded into the low 20 percent. In the general sense, the country has been in three wars since we were attacked: A war on terror, the Iraq War, the Afghan war, and one more: the War on the Truth. The Left rewrote history as it was happening before our very eyes and, as they say about most wars, the truth was the first victim. The Left, as always, was bombastic in its assaults, and it employed all the tools of popular culture: cable news, internet blogs, Hollywood stars, all popular musicians (they all would like to sing the perfect anti-war song), and every single comedian who ever stood before a camera of an audience. Gibson joined Fox News Channel in September of 2000 and previously hosted The Big Story with John Gibson. Prior to joining Fox, he was at MSNBC hosting the network's news talk programs, including Newschat and Internight. He also served as substitute anchor for CNBC's Rivera Live. Preceding the existence of MSNBC, Gibson hosted a news program for America's Talking. Before his stint at America's Talking, Gibson was a West Coast correspondent for NBC News Channel, where he supplied NBC affiliates with live reports on various breaking news events. Gibson also served as an NBC News correspondent based in California, where he provided extensive coverage of key news events, including the O.J. Simpson criminal trial, America's involvement in Mogadishu, Somalia, and the invasion of the Branch Davidian Compound in Waco, Texas. Gibson divides his time between New York City and Texas.